Gorgeous 360 views of the surrounding Kings Canyon & Sequoia National Parks. 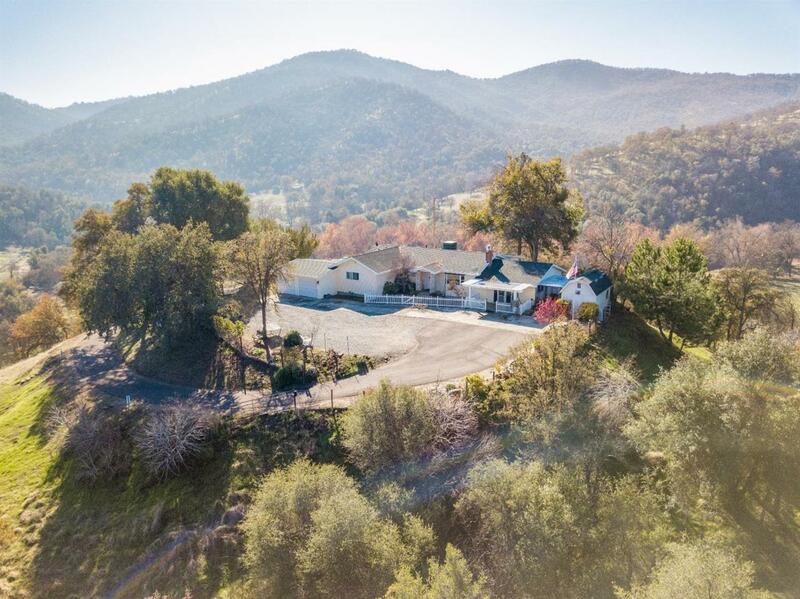 This Hilltop Hideaway is uniquely set on 9 acres w/ many possibilities! The home has been very successful as an AirBnB rental & has a great layout to accommodate Bed & Breakfast hosting as well. Truly a unique find & conveniently located near site seeing & tourist attractions. Tucked away just off Hwy 180 & a has a circular driveway up to the top of a hill perfectly set for the most amazing views. Property has 2 full RV hookup sites that would make a great source of extra rental income. The front porch is great for sunrise & the back patio area is a great spot to enjoy the sunset, swimming pool & separate spa. The property has a smaller adjacent lot of 6,250 sf parcel #190-020-68 at the entrance of the driveway that will be included in the sale. This flat space would make a great additional RV spot. This property is a great opportunity to pick up and immediately be up and running as a fantastic hosting home! Listing provided courtesy of Marie Meza of Keller Williams Westland Rlty.